1. A video that introduces our research work. 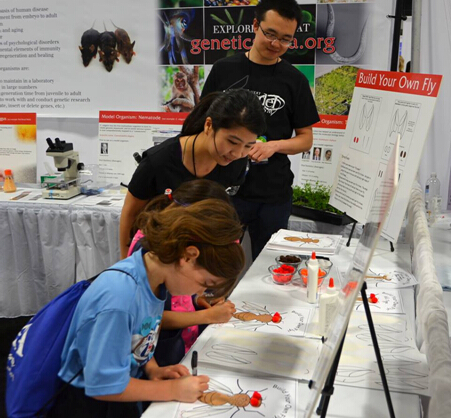 April, 2014: PhD student Wanpeng Wang volunteering at the GSA (Genetics Society of America) booth at the USA Science and Engineering Festival, Washington DC. 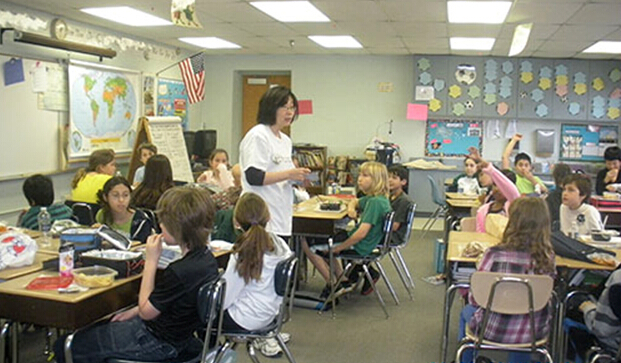 Participate in "Lunch with a Scientist" program at a local elementary school (March 2011). Summer bioinformatics for high school teachers in Baltimore city and Baltimore county (this workshop was held in the summer of 2011, 2012, and 2013 at Towson University, Maryland). Zhongchi Liu is in the second row on the right.